Once you know where you are going to and which lines or systems you are using, it is easy to buy a ticket for your Tokyo Subway ride. 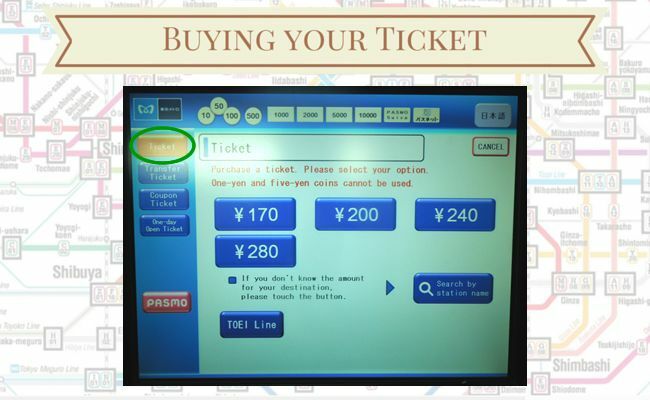 All stations will have touch-screen machines where you can buy your ticket. 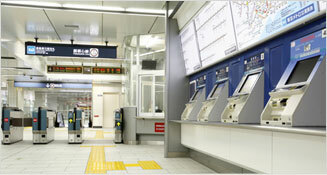 In some bigger stations, such as JR Stations, you can find ‘Ticket Offices’ that will also sell tickets. Here is a step by step guide on how to use the machines to buy your ticket. In the main screen, press ‘English’. Some machines will display a language selection button where you can find ‘English’. Other languages are available for selection, as well. Once you select your preferred language, all instructions will be displayed in that language. Select ‘Ticket’. If you are transferring to a Toei Line or to the JR Line, you can also select the appropriate button. For this post we will select ‘Tokyo Metro’ only. The machine will display the amounts available for payment. The fare is calculated based on the distance of your Tokyo Subway trip. If you don’t know how much to pay, the easiest way is to ‘Search by station name’. The fare will be automatically calculated then. 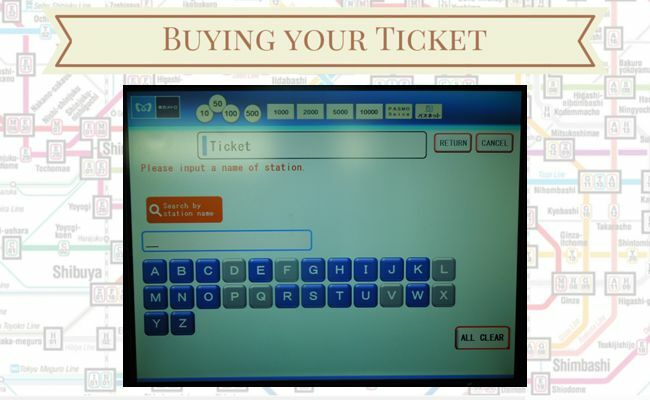 By selecting ‘Search by station name’, the screen will display the alphabet letters, as you can see below. As you start typing the name of the station, a list of suggested names will show up. Select the appropriate station name. If you cannot find the name of the station you are looking for: check the spelling or if station is part of a different system (perhaps you selected Tokyo Metro only and the station is part of Toei Line or JR Line). Verify the total amount for the ride on the screen and insert the cash: bills or coins. At this point, you can also select the option ‘Receipt’, if you want a receipt for your records or for reimbursement purposes. You must select ‘Receipt’ right after you insert the cash. The machine will dispense the change (if any) and your ticket. Collect your ticket and wait a few more seconds for your receipt to be dispensed. Important tip: If you are planning to use the subway more than five times in a day, it is worth buying a Day Pass. Tokyo Metro’s Day Passes are available for JPY 710.00 (around CAD$ 7.00). You can get Tokyo Metro + Toei Lines’ Day Pass for JPY 1,000.00 (around CAD$ 10). Other combinations are also available. Click here to find the list. With your ticket in hand, it is time to start your journey. Look for the ticket gates. Some ticket gates only operate with transportation cards, so look for the ones with ticket slots. 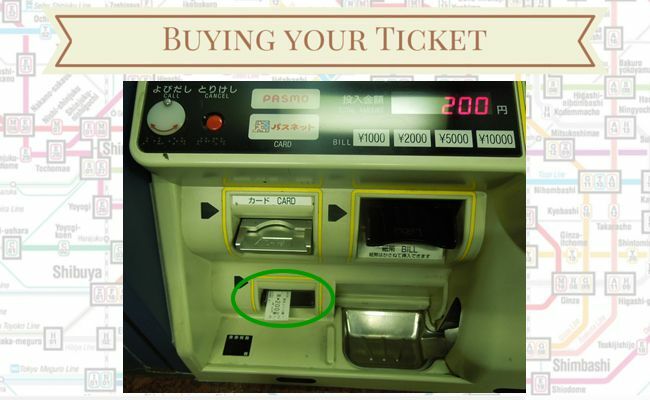 Insert your ticket in one end, go through the gate and collect the ticket in the other end. Important: Do not forget to pick up your ticket. Without it you won’t be able to leave the station at your final destination. 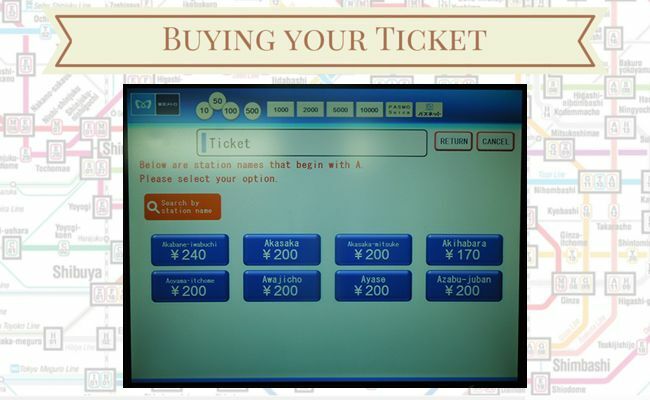 If you use this method, you will pay the exact amount to go from station A to station B. If for whatever reason your itinerary changes, and you need to leave in a different station, there could be a difference in the amount you paid and how much your ride actually costed. In that case, before going through the ticket gates, you might need to pay (or collect) the difference of the fare. 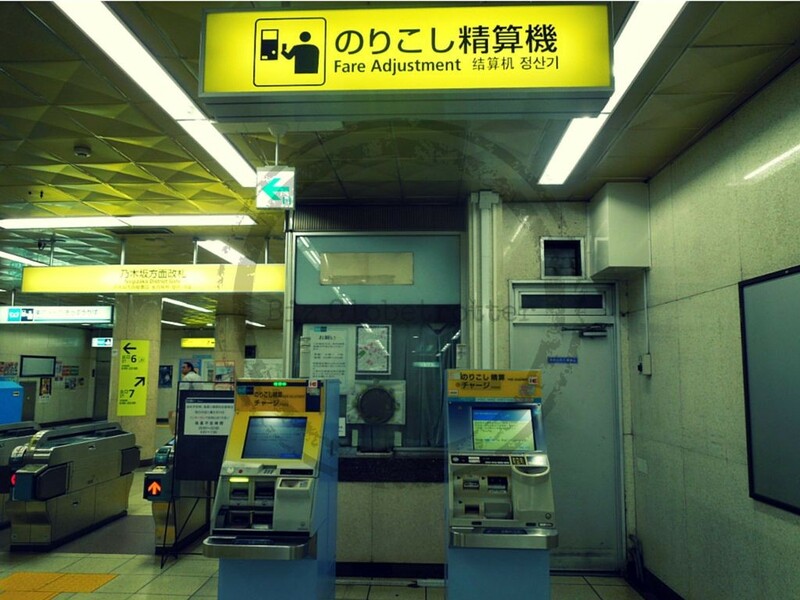 You will find ‘Fare Adjustment’ machines close to the ticket gates. 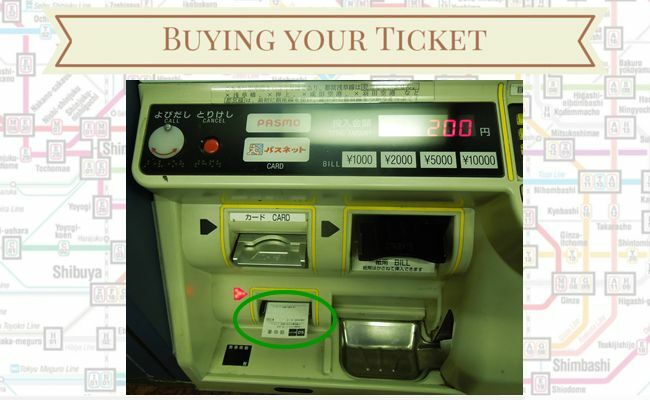 Insert your ticket in this machine and the difference will be automatically calculated. 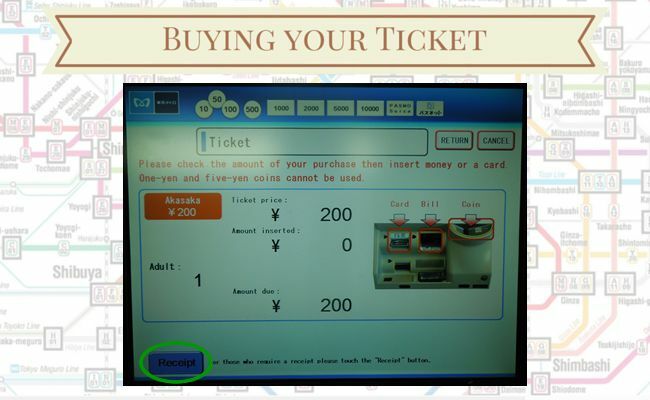 After paying (r collecting) the difference, use the new ticket dispensed by the machine to go through the gates. Next week we will explore stations, platforms, how to move around and transfer from one line to another. Hope you have enjoyed this week’s post. Thank you for visiting and see you soon.